REGION — The grunion season, which lasts from March to August, looks to hold a month of promising hand fishing this year. 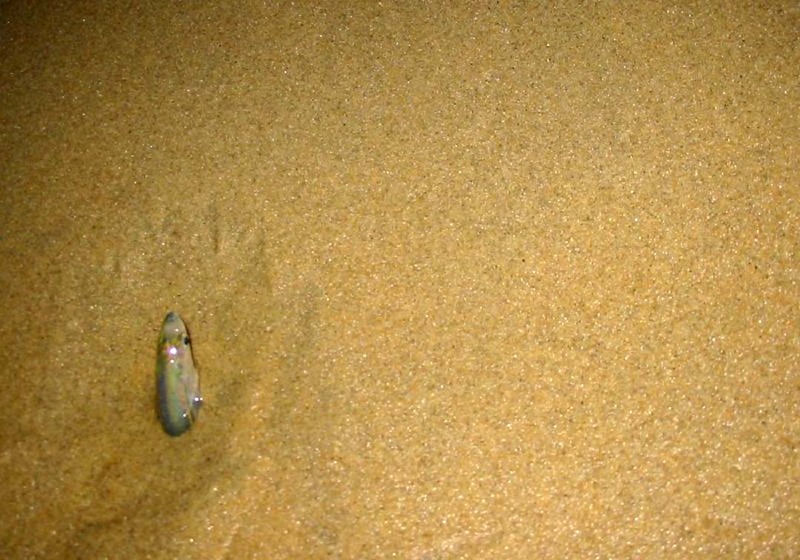 Grunion are slippery, silver fish that swim onto the wet beach sand by the hundreds to lay their eggs. They are a magnificent natural wonder to see, but there are specific rules about catching them. While they come to shore for six months, the open season to catch them is in March, and June through August. The months of April and May are a closed observation period. For those two months volunteer “grunion greeters” record information on the fish for NOAA and other science research. Grunion swim onto the beach to spawn four nights after the full moon, and four nights after the new moon. During open season they must be caught by hand. No dug holes, nets or traps can be used, which actually makes catching them that much more fun. Since fishing occurs at night it is recommended that fishers bring a flashlight. A catch bucket is also suggested. People over the age of 16 that “hunt” for grunion must have a fishing license. Kids under 16 do not need a license to fish. Grunion frequent most local beaches. Oceanside lifeguards say a popular grunion hunting spot is Harbor Beach in Oceanside, during high tide. The peak time to catch grunion has past, but they still can be seen in August. “It is pretty late in the season now for a big run,” Karen Martin, PhD, professor of biology at Pepperdine University, said. Most people catch grunion and use them for bait, but the fish are edible, too. Suggestions for those who want to eat their catch is to scale and gut the fish, then cook them for two to three minutes on each side until brown. Grunion can also be grilled by coating them in oil and wrapping them in a foil packet. Serving suggestions are to squeeze lemon over the cooked fish and eat, or use the meat in a fish taco. According to California Fish and Wildlife upcoming grunion runs are expected Aug. 2 through Aug. 5, and Aug. 18 to Aug. 20. Grunion runs last around two hours. The Aug. 2 run is estimated to start at 9:30 p.m., and begin an additional 40 minutes later each night thereafter. On Aug. 18 the run is estimated to start at 9:50 p.m., and be an added 40 minutes later each following night.